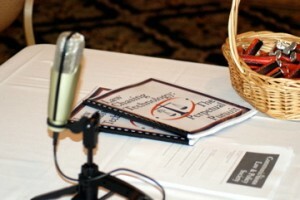 Podcasts from 6th Annual Symposium! We are spreading the word to FCBA members in the New York area that the FCBA Charity Auction is now online -- for the first time in its history. Just go to www.biddingforgood.com/fcbafoundation to view the prizes up for auction and/or make a donation of support. This provides a great opportunity for all FCBA members -- including those in chapters outside of Washington -- to take part in the auction and support the beneficiaries, Project Wait No Longer and the FCBA Foundation. · Two tickets to an American Idol Season 10 show, on a mutually-agreeable date in March or April 2011, courtesy of AT&T Services, Inc. Thanks in advance for helping to make the online portion of the Charity Auction a success. And if you happen to find yourselves in Washington on October 28, please come by the live auction, which will be held from 7-9:30 pm at the Hamilton Crown Plaza's Almas Temple, 1315 K St. NW, Washington, DC. Thanks to everyone for making our Symposium this year the best yet. It was great to see old friends and make new ones. It wouldn't have been possible without our panelists, sponsors and every single attendee. Thanks to each and every one of you. Stay tuned for Media, Pics and Podcasts from the event! 6th Annual Symposium Happening Now! Come and get it in Syracuse! If you can't join us, follow the live Twitter comments at #lct2010 and our stream @SUCLPS. Podcasts of our event will go up shortly after the event has concluded. 6th Annual Symposium Panels and Schedule Announced! Please check under the "SYMPOSIUM" tab for all the information, and times, for our upcoming Symposium. 6th Annual CLPS Symposium Registration LIVE! CLPS is delighted to announce the launch of the online registration page, housed here on our website, for the 6th Annual Symposium! CLPS 6th Annual Symposium Logo Unveiled! Get ready--the Panel's for the 6th Annual Symposium have been announced. Stay tuned for Speakers! Dates for Symposium Announced! Oct. 22-23! Details to Follow, but mark your calendars. The 6th Annual CLPS Symposium entitled "Law Chasing Technology:The Next Decade" is on October 22 & 23. Please stay tuned as specific schedules and events are forthcoming. We can't wait to see you there! Congrats to all the new excutive board members! 2010-2011 is shaping up to the best CLPS has ever had. CLPS Lecture Series II Announced! CLPS is proud to announce the second lecture series. Please find the schedule below; see you there! Note, all lectures will be in the Syracuse College of Law, in Room 175. On March 2, 2010 members of the Communications Law & Policy Society (CLPS) will meet with the Office of Professional & Career Development at Syracuse University College of Law to discuss new ways to marry CLPS's relationship with national leaders in the communications law sector with the Office's career advice and placement mission. Members representing the 1L, 2L and 3L classes will be in attendance. We look forward to a productive discussion as we continue to strengthen Syracuse College of Law's position in the field. A big CLPS Thank-You goes out to all of the esteemed professionals whom took the time to sit down at the first ever CLPS SoundStage. Below are the links to the podcasts; but also check them out via our Symposium Page! CLPS PODCAST-Breaking the Digital Ceiling. 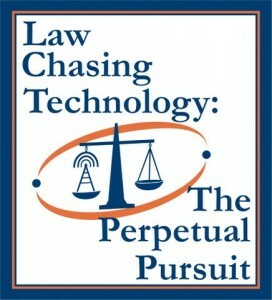 Check back soon for the pictures, podcasts and discussions that made the 2010 "Law Chasing Technology" the success that it was. For now, we want to thank our panelists, sponsors and participants for such a wonderful experience--it wouldn't be possible without you. The symposium activities will commence with cocktail hour on Friday, February 19, 2010 from 5:30-7 p.m. Following the cocktail hour, CLPS will host a speakers’ dinner at 7:00 p.m at Dinosaur Bar-B-Q. The cocktail hour will take place at the Genesee Grande Hotel in Syracuse, New York. These events are by invitation only and open to speakers and CLPS members. The symposium, open to the public, takes place on Saturday, February 20 from 8:30 a.m. until 6 p.m. It will also be held at the Genesee Grande Hotel in Syracuse, New York. Breakfast and Lunch will be served. Those speakers participating in the Google Books: Balancing Access & Power panel will enjoy lunch service immediately following the panel presentation. The symposium will culminate with an optional career-networking dinner event at a local, downtown Syracuse restaurant. Those who will be in town and wish to participate are invited to join us for this informal dinner at Dinosaur Bar-B-Q. Sign up sheets for the dinner will be available at morning registration where nametags are distributed. Cabs for this event will be shared leaving from the Genesee Grande starting at 6:30 p.m. Make sure to follow CLPS on twitter (link to the right) with the Hashtag LCT2010 (#LCT2010) for Law Chasing Technology, for all the updates and any changes to the agenda over the weekend. The Speakers’ Dinner will be held at the Genesee Grande Hotel. The Symposium will be held at the Genesee Grande Hotel. This event would not be possible without the generous donations of our many supporters. CLPS would like to thank our sponsors for making this event possible. We would also like to give a special thank you to Alexis Martinez in the Office of Student Life for helping with the many contractual and administrative obligations that come with running an even this size. Thank you, Alexis! Room For Pre-Symposium Lectures Announced! ROOM 201 will play host to the Pre-Symposium lectures to start next semester. Can't wait to see you and stay tuned for details and speaker information. Each of these mini-lectures will be geared towards teaching you about the relevant issues of each subject and will take place from 12-1pm at the Law School. Room TBA. TUESDAY JAN 26: Net Neutrality with Elise Hiller of CTANY. THURSDAY JAN 28: ID Management with Prof. Courtney Barclay of the Newhouse School. TUESDAY FEB 2: Google Books with Prof. Lisa Dolak of SUCOL. THURSDAY FEB 4: The National Broadband Plan with Prof. LaVonda Reed-Huff of SUCOL. 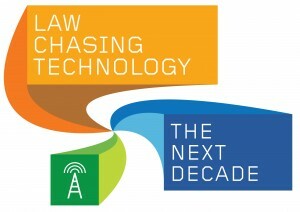 TUESDAY FEB 9: Technology Reporting & Policy with Prof. Roy Gutterman of the Newhouse School. THURSDAY FEB 11: ID Management Video- Both funny and informative. You'll love it! And understand ID Management in New Media. The location and time for our annual post-symposoium dinner and get together has been announced. It will take place, upstairs, at Dinosaur BBQ in the private room. There will be a cash bar and buffet. As 2009 comes to a close, and CLPS takes a brief respite for Winter Break, we would like to take time to celebrate our accomplishments. Xi. The ratification of our new constitution! Thanks for all your contributions and we look forward to seeing you in the new year! We will hold a general membership meeting this coming Monday to discuss the semester thus far, how to finish out the semester, and how to begin 2010. Please bring a final copy of your spring 2010 schedule with you as we will finalize meeting dates and times, as well as reserve time for academic CLPS events. Check out the new CLPS Bulletin Entitled "Google Music: Does this Mean the Music Industry Should Start Playing the Blues?" A new service has burst onto the Internet scene. However, unlike the million of attempts to carve out market share in the various platforms of the Internet everyday, this particular new effort caught serious attention--by bloggers, journalists and users alike. CLPS has proudly donated a Dinosaur BBQ gift certificate to the FCBA Charity Auction to be held November 12th in Washington DC. Please also consider giving, check out the Facebook page here, or check out the info on our site about it here. 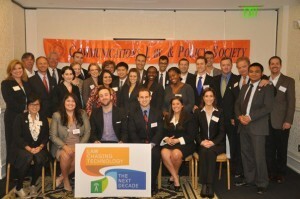 6th Annual CLPS Symposium. Oct.22-23 at the Genesee Grande Hotel! We hold weekly meetings. Stay tuned to our website for dates and times. Contact Us, Check out our Recommended Resources. or read and explore our Weekly Bulletins, Podcasts and Comm. Law Roundups.